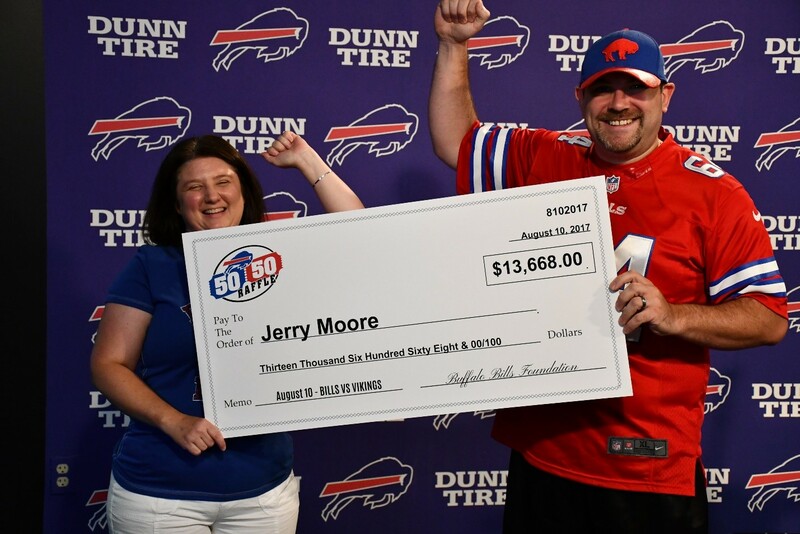 The Buffalo Bills Foundation is proud to announce that Jerry Moore from Bradford, Pennsylvania, has won the 50-50 raffle for the Bills-Vikings game. The jackpot was $27,335, with a winning ticket for $13,668. As a Bills Season Ticket Member since 2010, Moore has made a habit of buying 50-50 raffle tickets each game. After many years of playing the raffle, Moore is thrilled to have finally won. “I didn’t think it was mine; I didn’t believe it,” stated Moore. Moore and his wife will be taking a trip to Disney in a few weeks with his prize earning. 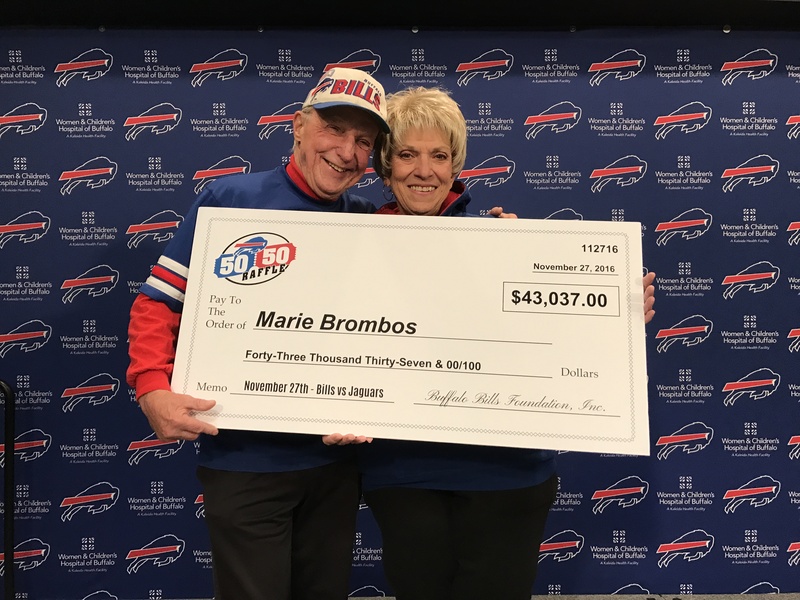 The Buffalo Bills Foundation is proud to announce that Marie Brombos, of Buffalo, N.Y., has won the 50-50 raffle for the Bills-Jaguars game. The jackpot was $86,073, with a winning ticket for $43,037! For details on the Buffalo Bills Foundation’s 50-50 raffle, visit here. In conjunction with the National Football League’s Color Rush campaign, the Bills wore all red uniforms for the second time in the team’s history. For the first time ever, the Bills will make available game worn Color Rush jerseys from WR Sammy Watkins and LB Jerry Hughes, in addition to a limited number of autographed cleats from QB Tyrod Taylor, G Richie Incognito and WR Sammy Watkins. 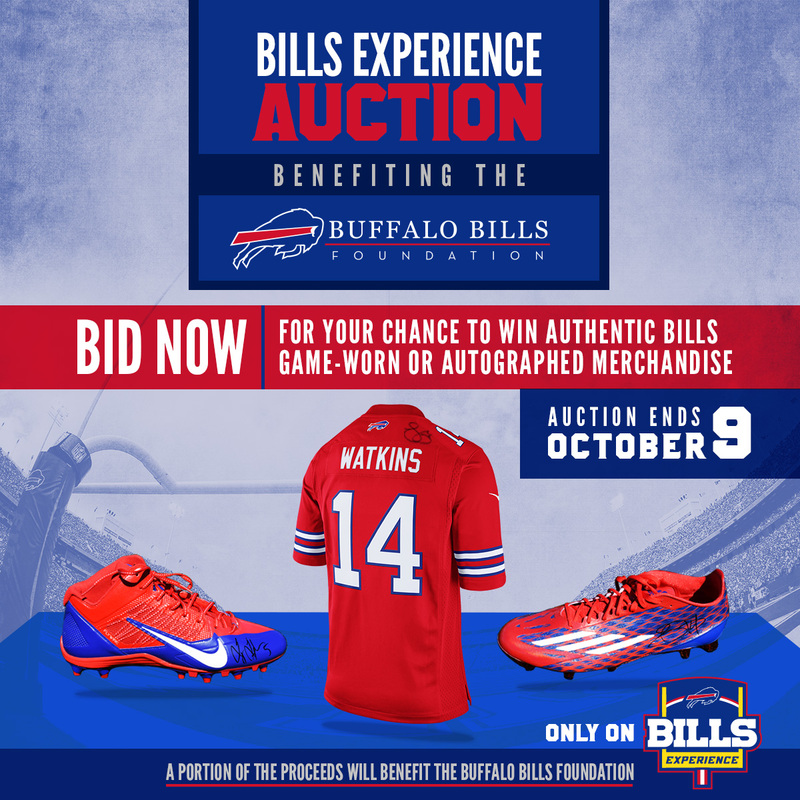 The auction is hosted on Bills Experience, available only on the Bills Mobile or My One Buffalo apps. Proceeds from the auction will benefit The Buffalo Bills Foundation. The Color Rush uniform, designed by Nike, combines current and historic uniform colors and designs into one new uniform honoring the franchise and energizing the fan base. The NFL introduced a sampling of Color Rush uniforms, unveiled last season on Thursday Night Football, with the full lineup in 2016 for all 32 teams. Download the Bills Mobile app now. The Buffalo Bills Foundation supports organizations that are committed to improving the quality of life in our region. This will be achieved through philanthropic investment in our community along with supporting NFL and team charitable initiatives.